Obverse description: Bust facing, bearded and crowned. The dots are the collar and the cone is the beard. Reverse description: Small cross pattee with moneyer around. 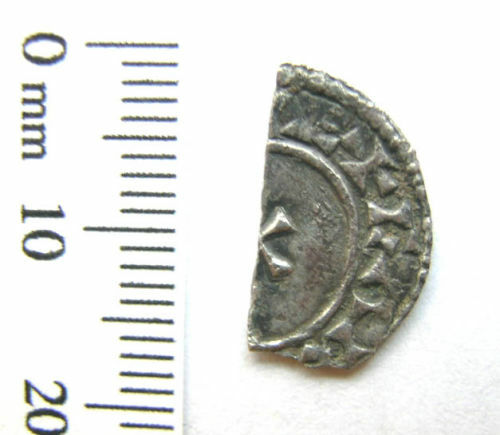 A silver cut halfpenny of Edward the Confessor (1042-1066). Radiate/small cross type (North 1980: 139, ref: 816). 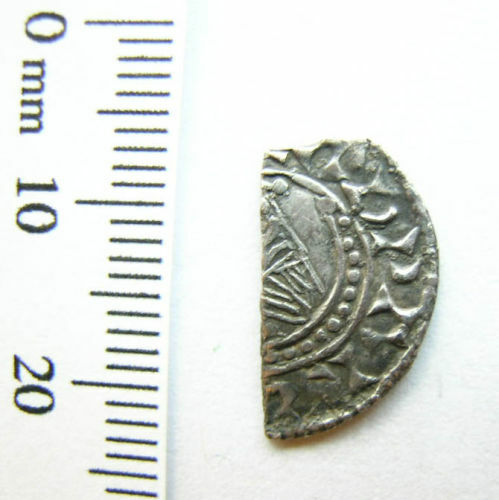 Medieval coin: penny of Edward the Confessor (1042-1066) minted between 1062 and 1065 AD. Bust facing/Small cross type. North No. 830.